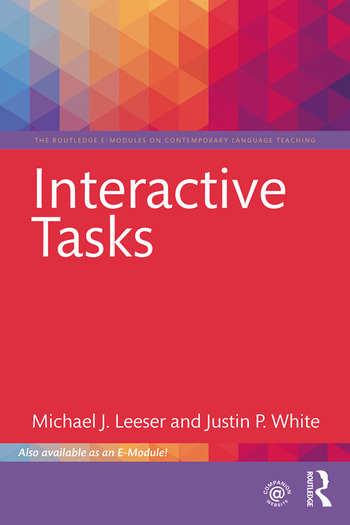 This module on interactive tasks provides teachers with an overview of the nature of communication and explores the ways in which interactive tasks can promote communicative exchanges among students and teachers. The module provides guidelines for developing tasks, along with examples and options for their use in various types of language courses, including beginner-level language classes as well as more advanced language courses focusing culture, linguistics, literature, and film. Michael J. Leeser is Associate Professor of Spanish in the Department of Modern Languages and Linguistics at Florida State University, USA. Justin P. White is Assistant Professor of Spanish in the Department of Languages, Linguistics and Comparative Literature at Florida Atlantic University, USA.